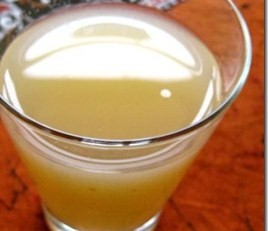 There are number of beverages for summer including panha, this one really add great taste to meal during summer days. Pressure cook the mangoes, when cool remove the skin & seed, extract the mango pulp & blend it to smooth from blender.pour it in bowl & mix wheat flour in it. Heat a pan with ghee, add chironji & coconut in it & then pour mango pulp in it. Then add sugar, cook it for 4-5 min & then remove it from fire. Refrigerate it for an hour & serve it in meal or can be drink it like any summer drinks. In Maharashtra it is a part of meal, served it with sweet potatoes chapati.when serve it as a drink then it is better to mix pinch of black salt. hey kirti,your panha is realy great cold drink,and also easy to make. plz suggest some other easy, delicious and healthy recepies.